If you are a fan of outdoor adventures, especially hiking, you surely know that it’s not always easy to find just those gadgets that will significantly improve your experience, without burdening you with their weight. As we know this as well, we made a selection below featuring items that are just right for your next adventure. Take a look, pick your favorite and then go enjoy some beautiful days without worrying about anything, especially not about the items you are carrying. Garmin’s Foretrex 401 Waterproof Hiking GPS is a device that you should definitely think about bringing along when you go hiking. The item features a high-sensitivity GPS receiver with HotFix which ensures an improved performance and reception even in heavy-tree conditions or deep canyons. With this one, you can keep track of your routes and waypoints, as well as of your heart rate if you decide to get the dedicated monitor which is sold separately. The display features a 100 X 64 pixels resolution, while the battery lasts for up to 17 hours in GSP mode, so there’s no need to worry about it. Another one of those cool hiking gifts you can consider purchasing for yourself or for friends who are passionate about this activity, Victorinox’s Swiss Army Spartan Pocket Knife has some nice features that will surely be appreciated by anyone who knows the importance of having a good-quality object in rough conditions. Besides the stainless steel construction that ensures durability, the knife features 12 functions that have you ready for any type of adventure. These include a 2.45” large blade, a small blade, corkscrew, bottle opener, can opener and many others. Made in Switzerland, this knife is built for practicality and functionality. If you are in the market for one of those cool and very useful backpacks for adults, then you might want to take a look at Condor’s Fuel Hydration Pack, which comes with many features that make it an item you will most probably end up using all the time. The main compartment has a document sleeve included for the important papers you might carry, while the outer compartment comes with a hook & loop panel, a mesh pocket, and a divider. Besides all of the other construction elements, the Hydration Pack has a padded back with mesh reinforcements which maximizes ventilation. Weighing only 0.56 pounds, this is a very good and highly portable medical kit that you should consider taking with you in all of your outdoor adventures. The best part is that you can use it for a wide range of purposes and situations, including those at home, at work, or at school, besides the times you go hiking. The kit is FDA approved, so you can rest assured that everything in it is high-quality and usable by nurses and doctors. Of course, one of the most important qualities is its portability, allowing you to take it anywhere you might go. Have you ever wanted to be ready for anything just like the main characters in action movies are, as they venture into the wild to solve a situation? Well, with Coleman’s Military Style Canteen you now have the chance to achieve that, given its military-inspired design and construction. Made of durable polyethylene, it will withstand almost any situation and rough conditions. Moreover, it features an insulated cotton cover and an attached cap for an easy and secure opening. The cover also clips onto an adjustable belt, so you can always have it within reach in case you need it. Hiking is a wonderful and relaxing outdoor activity that has tremendous benefits on your overall health. Besides fresh air, you get to see a beautiful scenery, and you have the chance to escape the noise and stress from your ordinary life. There are some essential items you must always have with you when going on the trails. Also, the rise of technology offers you a variety of cool gadgets for hiking to choose from. Depending on your hiking experience and desire to adventure yourself into the unknown, you can get some useful tools that will make your hiking experience exceptionally better. If you’re new to conquering trails, you might have a hard time on finding awesome gadgets for hiking. Therefore, let a team of experts offer you some piece of information. Check out this buying guide that offers you a variety of product suggestions, from backpacks, mobile apps to cameras and cooking gear. In putting together this research, we’ve relied mostly on factors such as hiking conditions, experience level, and personal preferences. See for yourself if our advice can help you make smarter shopping decisions. There’s no need to search for tons of products on the market if you consider these features mentioned by us in our buying guide. Contrary to others belief, many hiking gadgets for sale are affordable and efficient as long as you know how to choose wise and practical. Get ready to enjoy many hiking adventures if you follow our ideas. Going hiking is a great experience that has a soothing and calming effect on many people. They enjoy the feeling of freedom and being on top of a mountain or hill. The air is fresher, and the scenery can be quite breathtaking. Believe it or not but some people are afraid of starting a new hobby like this because they lack knowledge about gear and necessary hiking tools and accessory. If you want to start your own journey, you should know which is the best hiking gear for beginners. Start with basic elements and grow from that once you gain more and more experience. The main reason you get addicted to the height is that you want to admire nature without being disturbed. In order to see every detail and catch each move or image choose a pair of binoculars. You’ll find several items that are outfitted with video recording options in full HD resolution which are great if you want to impress your friends and family after returning from your hiking trip. Don’t even try to go on a trip without having water and supplies. You need to stay hydrated so choose backpacks that offer the option of inserting hands-free water bottles inside. Basically, you’ve got a tube threaded into a water sac that goes all the way to the backpack. You’ll need a GPS to venture safely but don’t rely solely on your smartphone applications because you might encounter areas with limited Internet connectivity. Get yourself a dedicated handheld device that provides detailed topographic maps and are sturdy enough to resist shocks. After being on the trails for an entire day, you must get hungry. Many people overlook this aspect and pack only fruits and protein bars. Be prepared with the best hiking cooking gear because the fresh air will strongly increase your appetite. Pack lightweight pans and fuel along with fire starters. 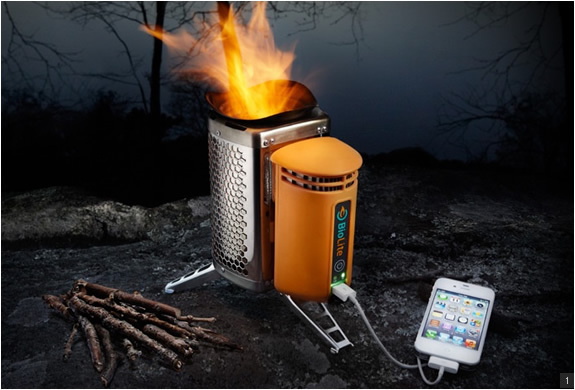 There are stoves that convert heat into usable electricity and have USB ports where you can charge your phone or tablet. You’ll find cute utensils that have a fork on one side and a spoon at the other. Just make sure to pack some cleaning cloths and trash bags because we want to you to leave the nature the way you found it. What is suitable for one hiker is not necessarily a good option for you. It’s important to know your limits well before embarking on an unknown adventure. If your friends are already accustomed with hiking session, ask them for pieces of information and see what recommendation they have for you. Backpacks are essential items and come in many shapes and sizes. Don’t choose a larger one from the beginning unless you’re already experienced with carrying heavy loads. Nowadays, most of us rely on modern inventions to keep us warm, fed and entertained. We can’t see our life without gadgets, and the same principle applies when talking about hiking gadgets. These help us stay on track and adds a great deal of security to our escapades. The majority of time spent on the trails is during the day, but there will be portions where light conditions are bad. Get a head lamp that has its own operating system which can be programmed using a laptop or computer. You have the option to reduce its brightness when looking down at a map or increasing it for admiring the surroundings. 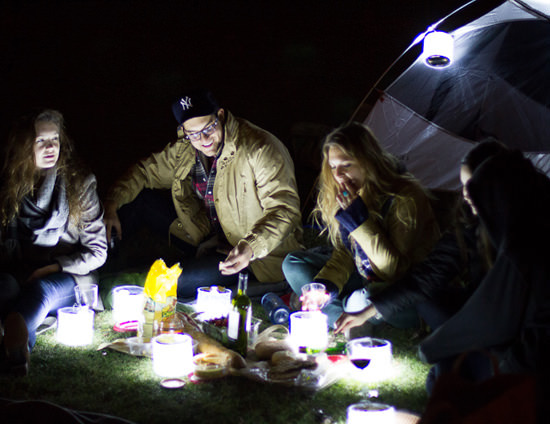 Check to see waterproof lamps that have a good battery life because you’ll need it for an entire day of walking. Weather can change from hour to hour hence having a portable multi-purpose digital radio in your backpack is more than beneficial. An AM/FM radio that comes with NOAA weather band radio stations is one gadget that you must never leave your house without. It can provide you with news, entertainment, and public service announcements as well as weather forecasts and other emergency messages that are vital for hikers and travelers. If you find a product that offers a LED flashlight and a power bank to charge your phone, then you have all the important gear in one kit. Many cool hiking gadgets are so interesting that you can’t stop wondering why you don’t use them already. When packing the essential for your hiking trip, you always have the water bottle issue. This translates in the fact that you don’t want to carry too much water because it adds to your backpack weight. But what if you invest in a cool water bottle that uses a UV light bulb that purifies water in just a minute? A remarkable invention is the water filter straw that you can use for drinking water straight from the source. Inside it has various filters that clean the impurities and bacteria before it gets to your mouth.